The annual July fireworks will be held at dusk at Rock Harbor, in Orleans on Friday, July 3rd. Excellent 'seats' can be had at Rock Harbor (both Orleans and Eastham sides) and Eastham's First Encounter Beach. These are a lot of fun, so plan an evening meal on the beach, followed by the fireworks. Some tips; 1) bring bug spray and 2) bring a flashlight. You won't believe how dark it gets after the fireworks are over. The rain date is Sunday, July 5th. Note: the annual Wellfleet fireworks are scheduled for Friday, August 28th. 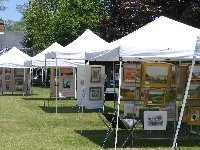 The Eastham Painters Guild is again holding their outdoor gallery and sale every week at the Eastham School House Museum. The Guild has been doing shows since 1980. They had been forced to relocate to the Windmill Green while the Musem was being renovated and expanded, but they can now move back for the bulk of the 2009 season. The gallery and sale will be held, most weeks, on Thursdays and Fridays. Go to their website for a detailed schedule. Want More Income From Your Second Home? The online edition of the Wall Street Journal ran an article about squeezing more income from your second home. There are a few decent ideas here... go to the WSJ article. The ideas cover the breadth of the spectrum; from renting your home without an agency, appealing your taxes, to finding a partner to 'share the load'. This is an immaculate 4 bedroom Captain's Cape style home, close to the Fort Hill Seashore area and all Eastham's beaches. This home could be your vacation home, a great rental or a wonderful retirement home. This home has a beautiful kitchen, living room with fireplace, natural gas heat & hot water, an outdoor shower, large rear deck, and a full basement with walkout. This home is being sold fully furnished, ready-to-go, with only a few exclusions. Listed at $429,000. Come see! Check out http://11settlerstrace.robertsheldon.com/ for more photos and a Virtual Tour. Call Bob Sheldon @ RE/MAX at 508-237-9545 for an appointment. 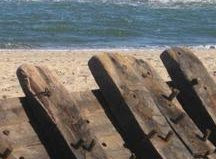 The 40 foot section of timbers and planking of a wooden hull of a ship from the early 1900's, or earlier, has washed ashore in Truro on the outer beach. Although opinions differ, many think this is not the shipwreck that washed up in Wellfleet in January of 2008 and has since been reclaimed by the ocean. Read the story in the Boston Globe Online. A few of my photos of the January, 2008, shipwreck, thought to be of a late 1800's schooner, converted to a coal tender, can be found on my website at http://shipwreck.robertsheldon.com/. Enjoy. In spite of efforts by Cape Realtors in opposition to a tax increase, a 42 cents per thousand increase in the Deeds Excise Tax will take effect beginning July 1st, 2009, bringing the tax to $6.12 per thousand on the transfer of property in Barnstable County. This, of course, includes sales of Eastham, Orleans, and Wellfleet homes. As an example, the sale of a $500,000 home will need to pay a tax of $3,060 at transfer, compared to the current tax of $2,850, for an increase of $210. Madison & Morgan - New Today! Yes - Mom is doing fine. So are baby Morgan and baby Madison. Born today in Boston at a little after 2:30PM are Morgan & Madison Barnes, my newest granddaughters. They weighed in at 7 lbs, 2 oz each and 19 inches each. Mom (my daughter Debi) and Dad (husband Jeff) are in for a life change with double the fun and double the trouble. Here are a couple of the first photos. 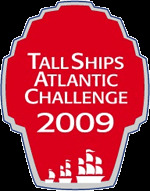 When I heard that the tall ships were going to be in Boston this July (July 8th-13th) I did a little digging and discovered that the Boston tall ships event is simply one stop on a multi-port cross Atlantic race, called the Tall Ships Atlantic Challenge. The are over 3 dozen ships engaged in a race that began in April in Vigo, Spain, made a stop in the Canary Islands, then on to Hamilton, Bermuda. The ships are currently sailing to Charleston, South Carolina. The next leg is to Boston, followed by Halifax, Nova Scotia, then back across the Atlantic to Belfast, Northern Ireland. Wow! Learn more about the race, track the ships, and read the crews updates on their website. Jim Cramer Says The Real Estate Decline Has Ended! Jim Cramer, CNBC's financial guru, said today that residential real estate has finally found a floor. The sector’s long, steep descent is all but over. He had predicted the bottom would come by the end of June, and he was right – with just two weeks to spare. Go to the Mad Money Recap website and read the whole story. Now's the time to BUY, BUY, BUY! Since the initial story broke of a rare yellow lobster, named Fiona, in the tanks at Eastham's Arnold's Restaurant, the story has had 'legs'. I've seen it in the Boston Globe (which had a video - link below), the Washington Post, AP. UPI, CNN-Online, and an Ottawa online newspaper. Wow! 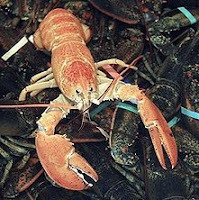 This lobster is thought to be a 1 in 30 million occurrence. Check out the video... Here. 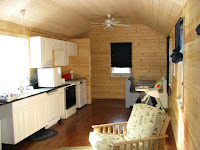 Cute Eastham 2 bedroom, 1 bath cottage - recently renovated with new family room and vaulted ceilings. This property is very near a public landing on Schoolhouse Pond and just a short walk to the National Seashore. This is a short sale being sold under assessed value, at $275,000. Go Here for more photos. On July 16th Truro will be celebrating 300 years of history as an incorporated town on the Outer Cape. The occasion, and in fact, the year will be marked by parties and parades and fireworks and so much more. 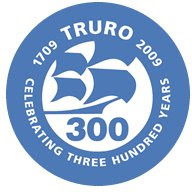 Check out the Truro-300 website...Here. An Exciting “Mid-July Main Event” running from Thursday, July 16 through Sunday, July 19 and including a family picnic and concert, a beach party, a parade, fireworks, a re-enacted reading of the proclamation that established Truro as a separate town, historic walks and tours, games and dancing. The Cape Cod Baseball League is set to begin its 2009 season in just over a week, with the opening game scheduled for June 11th, with Cotuit playing Harwich (at Harwich) at 7:00 PM. The Orleans Firebirds (formerly the Orleans Cardinals) and the Brewster Whitecaps starting their seasons on June 12th. The season's schedule can be found ...Here.. 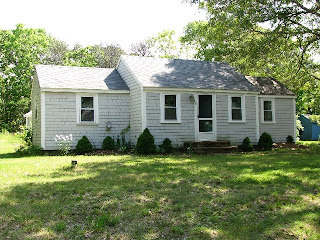 My listing for the condo cottage, at Brownie's cottages in Wellfleet, has just has a price reduction that you may find interesting. The new price is $189,000, for this completely renovated 1 bedroom cottage, with 584 sqft of living space, which includes a new bathroom, vaulted ceilings, ceiling fans, and a new kitchen. Well worth a look-see. 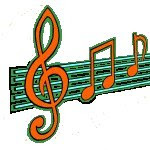 Check it out at http://brownies.robertsheldon.com/.